Here are 4 tips to help you get Voxing right away! 1. Find your friends by looking them up in the Voxer Directory by Email or Full Name - Connect with your friends already using Voxer! On iPhone, go to your contacts list> tap on the search bar > type full name or email address into the search field. Make sure you type in the entire name/email address even if it says "Sorry we could not find that person." Then click on the contact name that appears and click "Add." Once you add the contact, they will appear in your address book! On Android, tap the friend's tab > tap the magnifying glass > enter your friend's full name or email address > select "Tap here to search for (your friend) on the Voxer network" > select their name and tap on the "+/Add" button. This will add them to your friend's tab. Find them in your friend's tab > tap their profile picture > select "Vox." You are now in a chat with your friend and can begin sending messages! 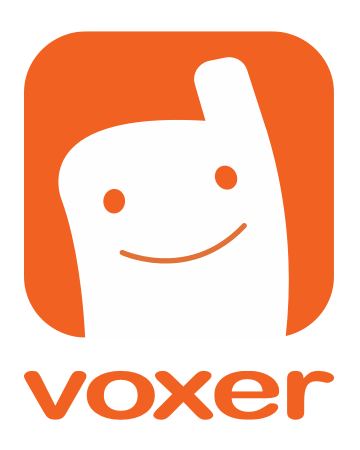 *Note: if you are having trouble finding your friend because there are many people on the Voxer network with their name (ie. "John Smith" or "Jennifer Parker"), try searching by their e-mail address rather than by their full name. 2. Update your profile and add a profile picture - update your name, email, phone number, and profile picture so other users can easily find you. To access your profile on your iPhone, go to My Profile and click "Edit" in the upper right-hand corner. Once you are done making changes, hit back arrow to save. To access your profile on Android, go to your "Me" tab > tap the edit pen at the top of the screen. Click the checkmark to Save. *And don't worry, we won't share your information with anyone! 3. Invite friends to download Voxer via SMS or email invite - Invite other iPhone or Android friends to download Voxer and Vox with you! From your iPhone, go to "Invite friends" > select your friends to invite > tap "Invite." From your Android, tap "Invite friends to Voxer" via your settings tab (three squares in the upper right-hand corner) > select friends to invite > tap "Invite." 4. Start a chat and vox your friends! - You can chat with your friends one-on-one or as a group! 1:1 Chat - To chat with only one contact, tap on the compose button or > select a friend's profile > tap the vox button. Group Chat - To start a group chat with up to 500 contacts, tap on the compose button > select Group Chat > choose contacts > name your group chat > start voxing! Private Chat - Private Chats are end-to-end encrypted chats. To start a Private Chat, tap on the compose button > select Private Chat > choose contact > start voxing! Broadcast Chat - This is Voxer PRO only feature. It allows you to send one-way announcements to large groups. To start a Broadcast Chat, tap on the compose button > select Broadcast Chat > choose contacts > name your Broadcast Chat > start voxing!